How Much Does a Mechanic Make in South Dakota? Automotive technician jobs in South Dakota have an mean mechanic salary of $36k, with some mechanics earning as much as $51k. If you have been thinking about trying to get an automotive technician job in the state of South Dakota, it is important to make sure you have the right type of training, and that you understand what type of salary the job can offer. Becoming a mechanic can be a fun and rewarding career, and many people truly love the idea of working on vehicles. However, most people also want to know just how much they have the potential to earn. In the United States, the median salary for those who are in the automotive technician field is between $31,000 and $41,000. Of course, there are those in the country that make substantially more. The reason that some people are able to make more money in the automotive field is simply due to location, the amount of experience they have, the training they have, and their certifications. Naturally, more certifications are going to mean more pay as well as more demand from employers who are looking for people to add to their ranks. In the state of South Dakota, the mean annual wage for automotive technicians and mechanics is $36,990. However, there are some in the state who earn substantially more. They can earn up to $51,000. As mentioned, these are individuals who have more experience, training, and certifications. The National Institute for Automotive Service Excellence offers Automotive Service Excellence, or ASE, certification. Those who follow through and receive certification in all of the available areas, nine in total, will become master mechanics. There are a number of different areas for certification including automatic transmissions, brakes, engine repair, suspension and steering, heating and air-conditioning, light vehicle diesel engines, engine performance, electrical and electronic systems, manual drivetrain and axles. Having ACE certification can help to increase a mechanic’s overall salary. The more training and knowledge that you have the more valuable you become for employers looking to hire in the state of South Dakota. Even though the population of South Dakota might not be as high as other states, there is still a need for mechanics. There are some schools located within South Dakota that offer training for auto technician jobs. There are a number of different types of schools that can provide this training, including vocational schools, specialty schools, and colleges. Most of the time it will take between six months and a year to get the skills needed to work as an automotive mechanic. While it is not located in South Dakota, one of the most popular schools in the country for training as an automotive mechanic is UTI. 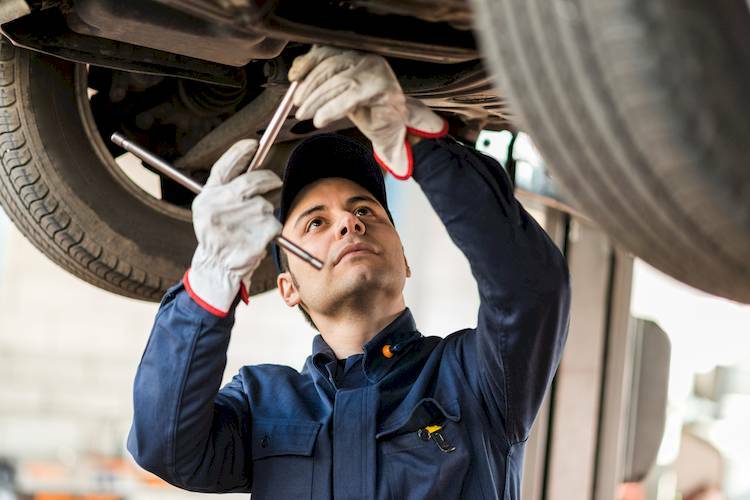 The Universal Technical Institute offers a 51-week course that can provide students with the knowledge they need to diagnose as well as maintain and repair automobiles. With the right training, and with some certifications, it becomes possible to have a job that you love and to make a good living in South Dakota. After getting the training needed to become a mechanic, you might want to think about working with YourMechanic.com. You will be able to make your own schedule and work full time or part time, and you could make between $40 and $60 per hour doing it. Q: What do I need to do to become a mechanic?